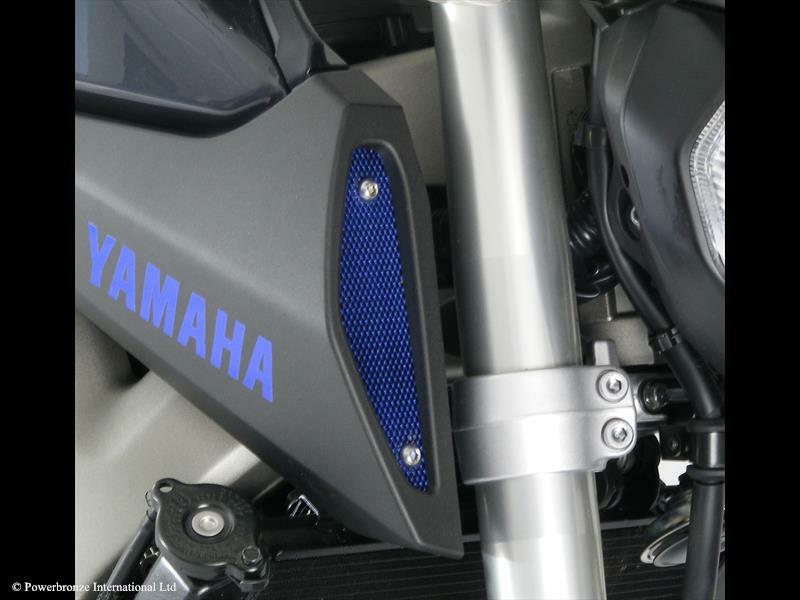 The looks of the new MT-09 from Yamaha are sure to divide opinion. If you’re lucky enough to have one in the garage then you’ll agree there are at least one or two bits and pieces that could do with some attention in the styling department, the tail tidy being the first thing to spring to mind. 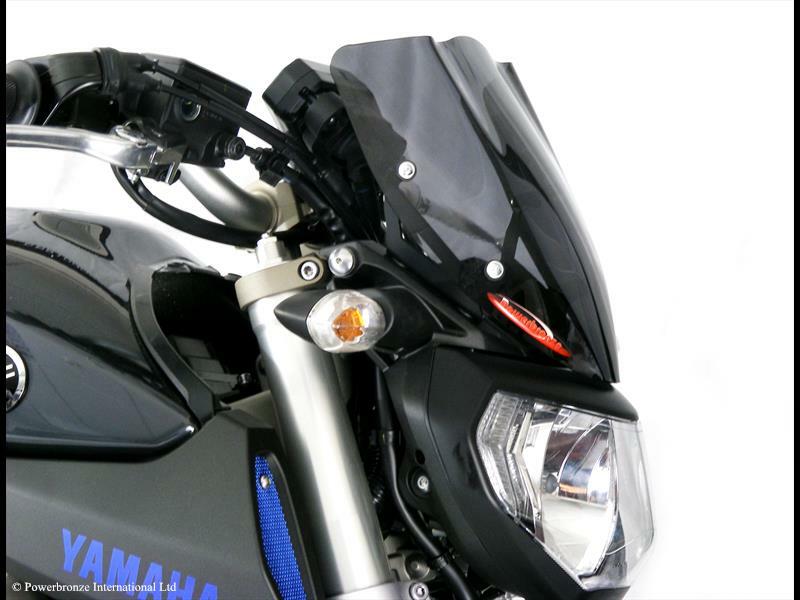 Powerbronze have extended their range of accessories to fit the latest Yamaha triple and are a far more cost effective alternative to the official Yamaha aftermarket range. There’s no screen as standard on the MT and if you’re planning on covering any kind of mileage then it should be one of the first parts on your shopping list. The list of sizes and colours are pretty extensive, ranging from a subtle clear or light smoke, right through to various tints of iridium for the shrinking violets amongst you. It’s not just screens and huggers that powerbronze sell. 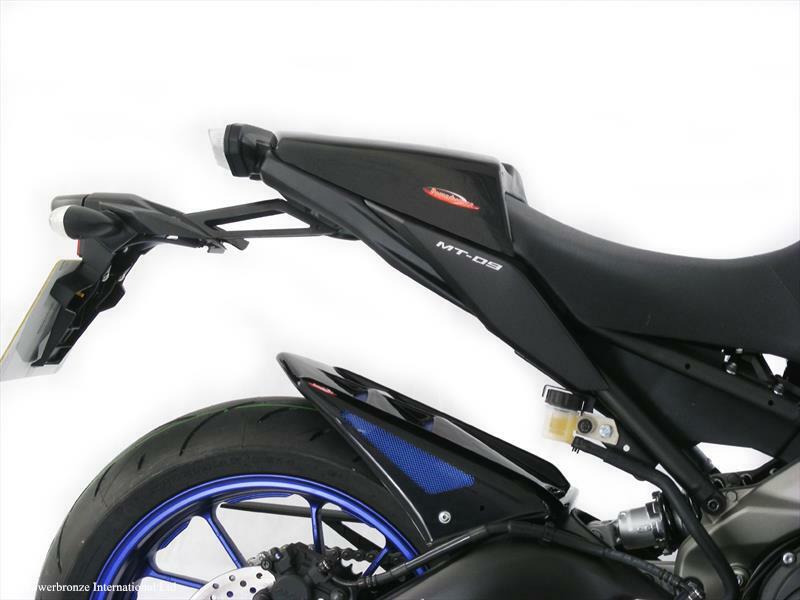 They also have a range of crash protection including fork, swingarm and frame sliders and if you’re considering removing the pillion pegs for solo rides then Powerbronze also offer a single seat cowl for the MT-09.